Since 1998, Information Outsource has specialized in utility billing for municipalities and private utility companies. We have created a streamlined, secure process to manage your utility billing needs. Information Outsource has customized solutions to fit your needs. We continue to exceed our clients’ expectations with a variety of services. From traditional First Class mail to electronic billing to innovative outsourced billing solutions, we are able to service your utility billing needs from start to finish. Efficiently complete in minutes what may take your in-house billing operation possibly days. Our ability to generate and deliver invoices, statements, shut-off notices and collection letters will save you time and money. Provide billing customization and flexibility, allowing you to send a branded, crisp document to your customers and cutting back on the number of calls your customer service representatives must field. Guarantee timeliness, accuracy, quality and integrity with every job we complete. 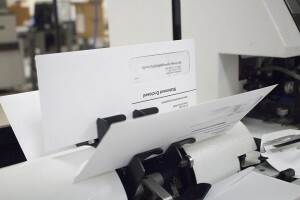 Information Outsource’s printing and mailing services allow your staff to focus on high pay-off activities while we manage your customer communications. We are also able to create and produce inserts, Water Quality Reports and other targeted customer communication in-house. By utilizing our selective messaging and inserting capabilities, you can target portions of your customer base and deliver pointed information. Given our knowledge of the challenges that face utility billing professionals, we can help make business recommendations and weigh in on how small changes to customer communication can positively impact your bottom line. Our team of professionals is ready to answer your questions and assist in managing your day-to-day billing needs.